Violoncello part (version for string quartet), viola da gamba/violone part (version for viola da gamba quartet). Composed by Johann Sebastian Bach (1685-1750). Edited by Hermann Diener and Charlotte Hampe. Stapled. The score is TP 26. Single part. BWV 1080. 40 pages. Baerenreiter Verlag #BA02600-08. 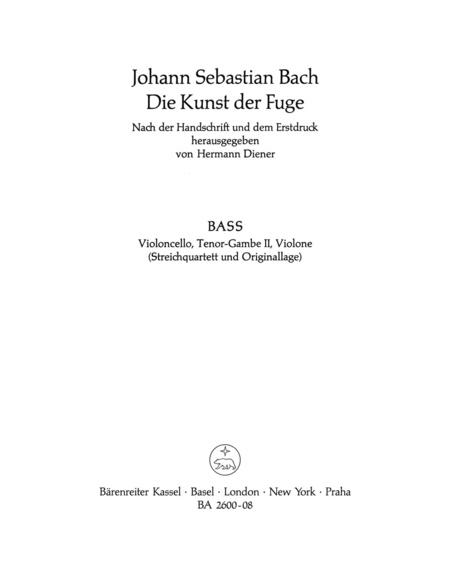 Published by Baerenreiter Verlag (BA.BA02600-08). ISBN 9790006423323. 30 x 23 cm inches. 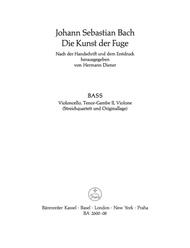 Edition according to the autograph and first edition including the chorale Vor deinen Thron tret ich hiermit for string instruments.